Fresh watermelon may be eaten in a variety of ways and is also often used to flavour summer drinks and smoothies. A one-cup serving of watermelon will provide around 48 Calories. It is an excellent source of vitamin C and vitamin A, provides significant amounts of vitamin B6 and vitamin B1, as well as the minerals potassium and magnesium. 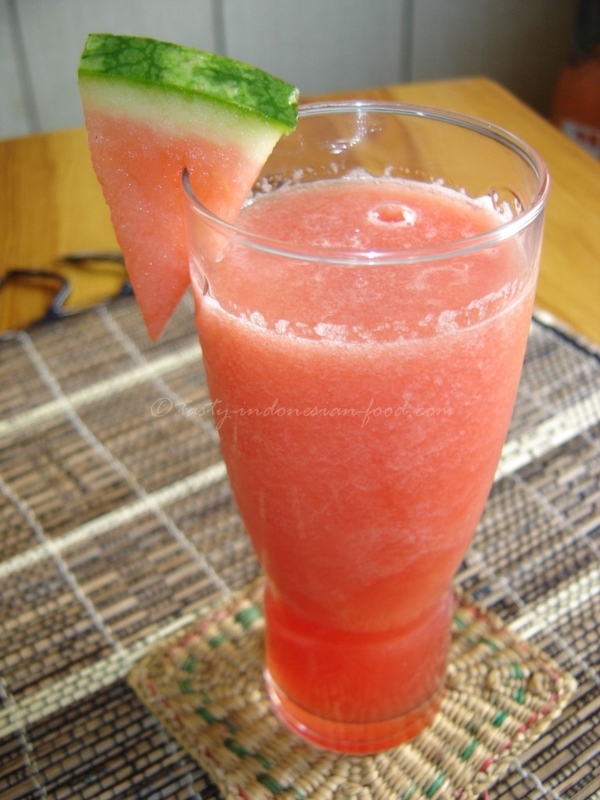 Enjoy your summer time with Watermelon juice ( or in Indonesia, it’ s called Jus Semangka ) !! Combine watermelon flesh with other ingredients and puree in blender until smooth.